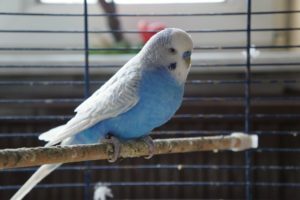 Parakeets are a very energetic and intelligent bird, and because of this, they need a wide variety of toys and stimulation in order to be happy. While it can be hard to know what parakeets like to play with the following list of toys and reviews will help lead you in the right direction. What do Parakeets Like to Play With? You have probably experienced that one day your parakeet loves playing with a certain toy, and then the next day they don’t even care about it. To avoid this kind of behavior you should consider getting them a mix of different toys. And be sure to switch the toys out of their cage on a regular basis so they don’t become bored and lose interest in them. In the wild parakeets spend a good portion of their day searching for food. A good foraging toy with lots of interesting things to explore, will mimic this behavior and keep a parakeet amused for hours. Installing a swing in your parakeet’s cage is a good way to give your parakeet some exercise. Since swings are able to freely move around a parakeet can have fun hanging upside down or they can even do a wide range of acrobatics. 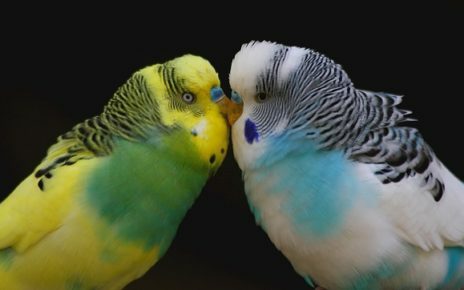 In nature, Parakeets are very social birds that enjoy being in the presence of other members of their species. 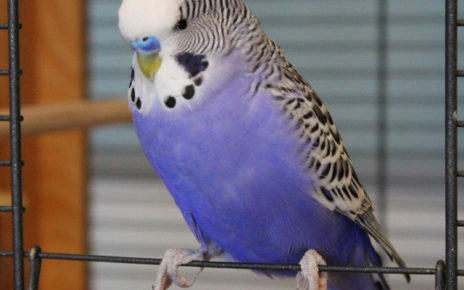 If you have a single parakeet adding a mirror to their cage can help alleviate any stress brought on by loneliness. 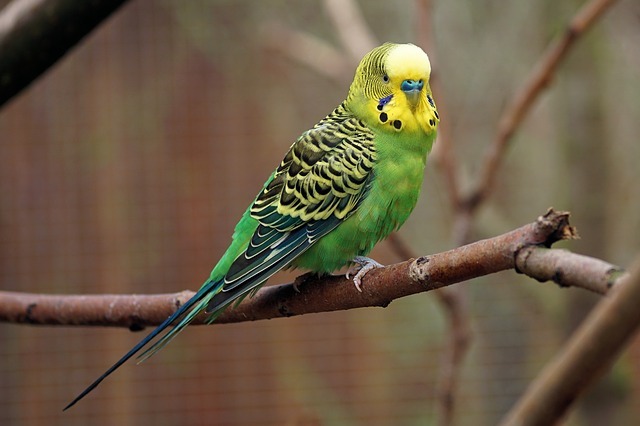 Parakeets love making and hearing a wide range of sounds and noises. 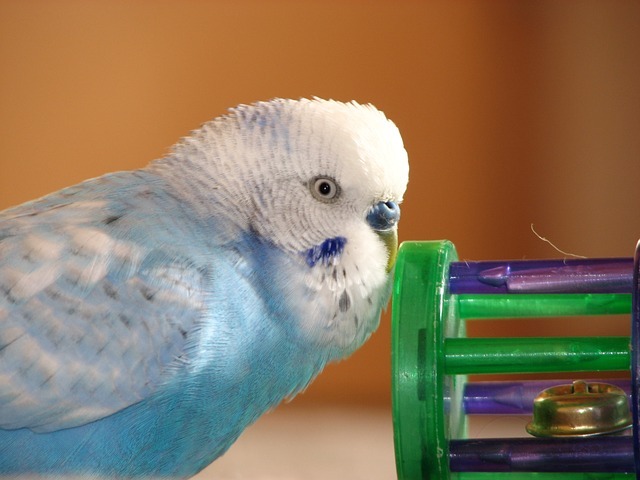 Adding a toy to a parakeets cage like a bell that jingles or a toy that rattles will give a parakeet some much needed auditory stimulation. As you probably already know parakeets love climbing up and down the bars of their cage. 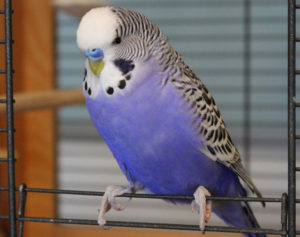 Giving a parakeet a ladder will give them a more comfortable and fun structure to climb on. Playgrounds combine the best aspects of all of the toys previously mentioned. They usually have perches, swings, ladders and foraging toys all combined into one unit. Playgrounds are usually meant to be used outside of a Parakeets cage. This makes them one of the best toys for you and your parakeet to enjoy using together. The Caitec Corp Pear Toy (Buy Online) will provide your parakeet with hours of fun and enjoyment. This toy comes with a wide assortment of fun things for a parakeet to play with. The Caitec Corp Pear Toy is made up of wooden blocks, small wiffle balls, and two good sized bells. 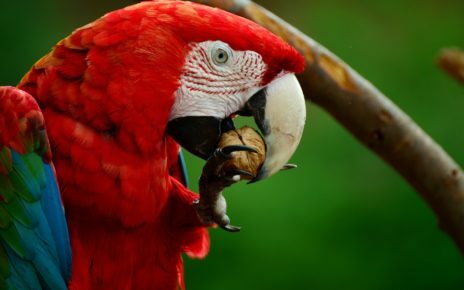 The small bite-sized wooden blocks will easily fit in a parakeets mouth and are sure to stimulate foraging behavior. The small wiffle balls add a nice mix of materials and textures in order to keep a parakeet interested. And the bells will provide much needed auditory stimulation. 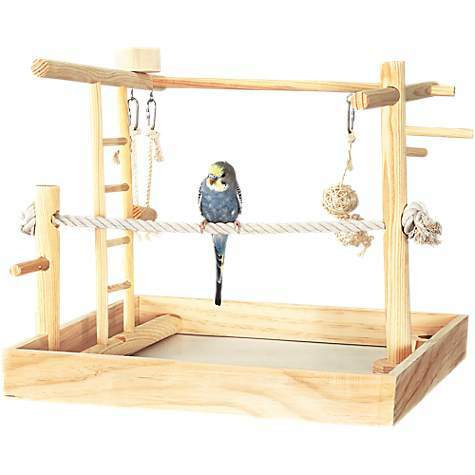 The You & Me 3-in-1 Playground for Birds (Buy Online) will provide a fun place to play with your parakeet when they are outside of their cage. This playground comes with a ladder, hanging toys a cup and a rope perch. And all of these pieces fit nicely into the included tray, which will also catch any messes your birds may make. The whole playground is reconfigurable so it can be set up to suit any birds play style. The ladder can also be removed and used in a cage. And the perches can be put together in different ways, which is perfect if you have multiple birds using this playground at the same time. The Jungle Talk by eCOTRITION Triple Rope Ring (Buy Online) is a great toy to get if you think your parakeet isn’t getting enough exercise. The three large rope rings are the perfect size for a parakeet to swing and hang from for hours on end throughout the day. Each ring also comes with a colorful wooden block that slides freely along the rope. The blocks will keep a parakeet coming back for more even when they aren’t swinging on this toy. 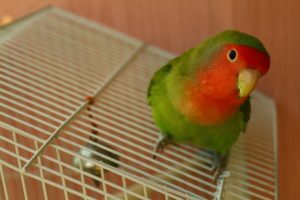 Adding a swing to a parakeets cage will not only keep your bird physically fit, it will help them stay mentally fit as well. 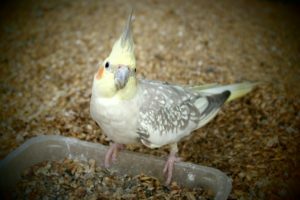 The Prevue Pet Products Mimic Me Voice-Recording Unit (Buy Online) can be used to teach a parakeet to talk or just keep them company. 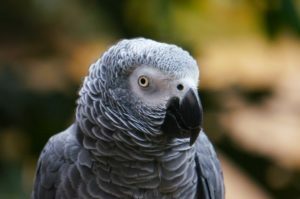 If you have ever tried to teach a parakeet to talk you know how important repetition is to success. With the Mimic Me Voice-Recording Unit, you can record a 10-second phrase or word and have it repeatedly playback throughout the day. 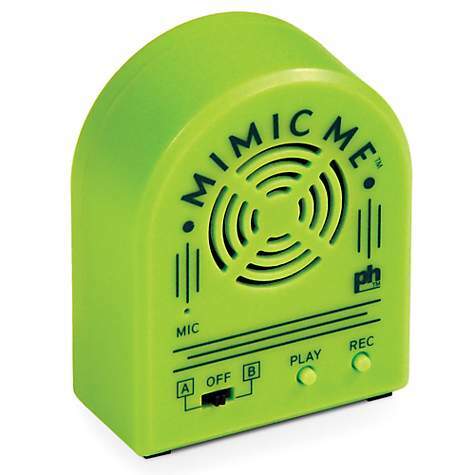 Even if you are not looking to teach your parakeet to talk, the Mimic Me Voice-Recording Unit can still be used to keep your parakeet company. If you want you can have it play a reassuring phrase while you are away at work. Or you can even have it play any other sounds that you know your parakeet would enjoy listening to. 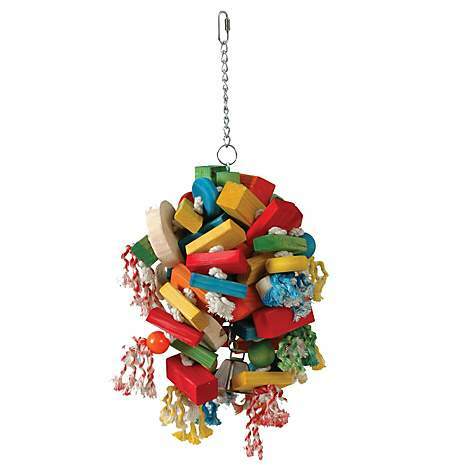 The Caitec Lots to Do Bird Toy (Buy Online) is a large foraging toy that will keep a parakeet busy for hours. 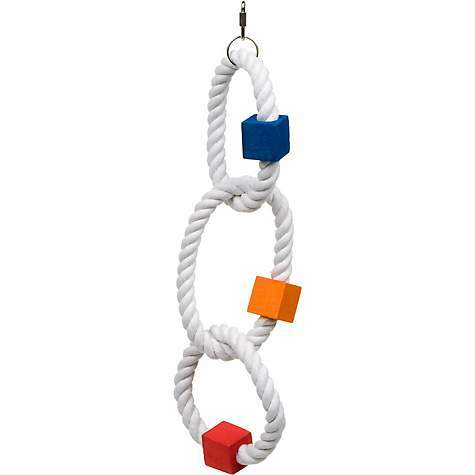 This toy is made of wood, cotton rope, sisal rope and acrylic beads. All of these materials are bird safe and very durable. And this toy is so strong it can even handle the bite force of the most destructive birds. The large colorful wooden blocks will instantly draw your parakeets attention. And once they start digging into this toy they will have a lot of things to poke, prod and tear away at. All of these things will keep your parakeet happy and help stimulate their natural foraging behaviors. 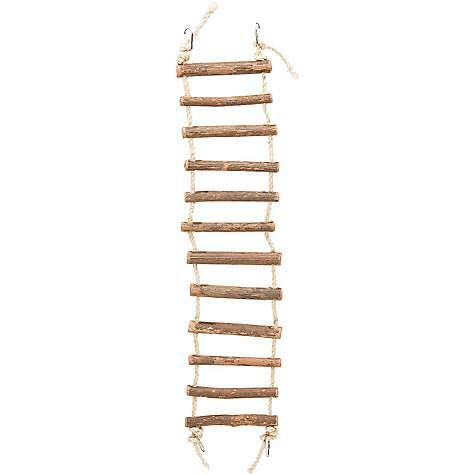 The Prevue Hendryx Naturals Large Rope Ladder (Buy Online) is a long ladder with a wide range of uses. The rungs of this ladder are made of bird safe wood and they are connected together using strong natural rope. This ladder is 25 inches long which makes it perfect for use inside or outside of a parakeets cage. The ladder can be used in large cages to create bridges and walkways between different levels. Or it can be used outside the cage to create a rope bridge that connects two or more cages or any other structure. And if you want to shorten this ladder the rope can easily be cut so it can actually be used as multiple ladders. 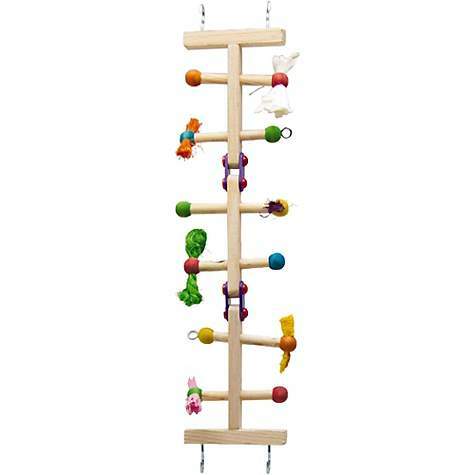 The Kaytee Foraging & Play Ladder Bird Toy (Buy Online) is a fun mix of ladder and foraging toy wrapped up all in one nice package. The ladder itself is made up of three sections of solid wood connected by two hinges. At the end of each rung of the ladder, there is a mix of foraging toys made of different materials. The Foraging & Play Ladder can be used as a ladder or a bridge inside a parakeets cage. The rigid wood structure will also make it less flexible than a rope ladder which might make it more appealing to more cautious parakeets. And the foraging toys on this ladder will entice even the shyest parakeet to engage in some vigorous play time. The Insight ActiviToys Quad-Pod Bird Toy (Buy Online) is a little cage toy that can provide some big entertainment. 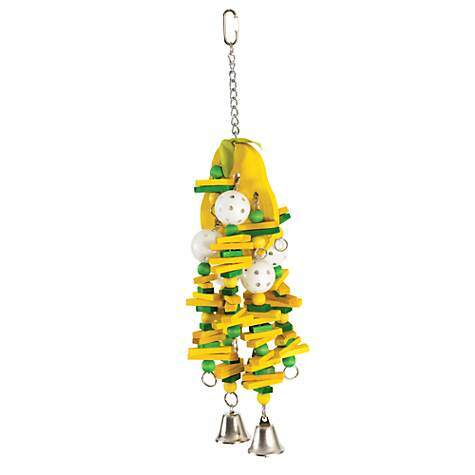 The Quad-Pod Bird Toy is a plastic bird toy that is perfect for parakeets that love auditory stimulation. This toy has four arms that spin freely on a mount that easily connects to the inside of a bird cage. Inside the spinning section of this toy are small little plastic balls that will make a fun rattling noise. 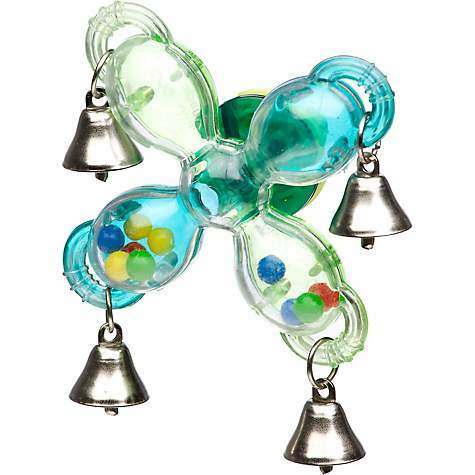 And on the outside of this toy are four good sized bells that will add to the mix of sounds this toy will offer your parakeet. The Insight ActiviToys Birdie Basketball Bird Toy (Buy Online) is a very fun interactive toy that most parakeets can’t get enough of. 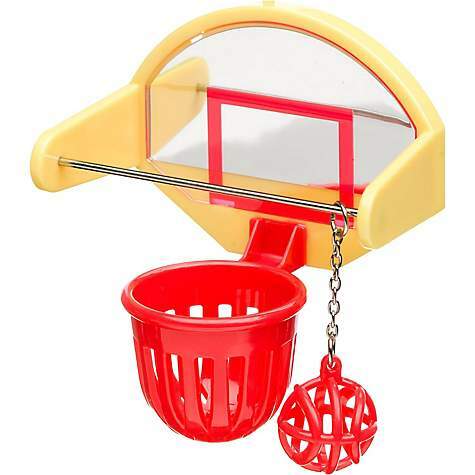 This toy is quite unique since it is made to look like a small basketball hoop. And it comes with an attached ball that will keep a bird active as they try to get the ball in the hoop all day. The backboard of this basketball hoop is also a mirror, so your bird will enjoy looking at themselves even while they aren’t shooting hoops. This is a perfect toy if you have a very smart bird that easily gets bored of their regular bird toys. This toy is a nice change of pace for a bird since it will make them use some of their problem-solving abilities. 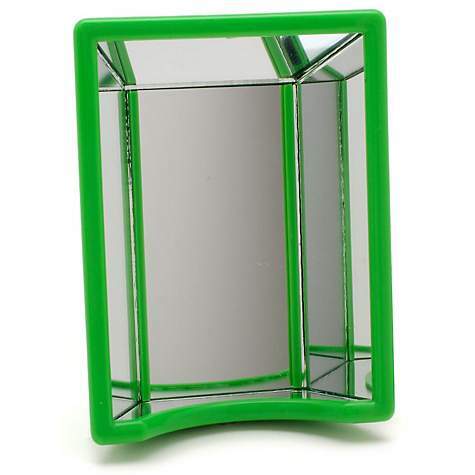 The JW Pet Company Insight Activitoys Hall of Mirrors (Buy Online) is a great addition to almost any parakeet cage. Adding a mirror to a cage is great if you have a single bird so they don’t feel alone when you are gone during the day. And even if they aren’t lonely they will still love playing in front of the mirror so they can check themselves out. And a mirror can also be useful even if you have multiple birds in a cage. Even though parakeets like being around each other sometimes they do need a break. A mirror can help limit conflicts by giving each bird a place for some individual play time away from the rest of the flock. The Pet Supply Guy is a participant in the Amazon Services LLC Associates Program, an affiliate advertising program designed to provide a means for sites to earn advertising fees by advertising and linking to amazon.com, amazon.co.uk and amazon.ca. 2017 The Pet Supply Guy | Eggnews by Theme Egg.